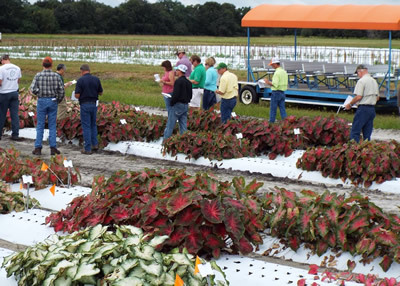 Trial programs allow students, researchers, industry representatives, homeowners and extension personnel to learn, and evaluate our caladium varieties in the unique environmental conditions of the individual regions. We often trial our new introductions two years before we release them. We participate with Ohio State University, Cornell, Penn State University of Georgia, LSU and others. 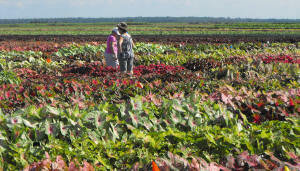 In addition to colleges and universities, we work with industry and trade organizations such as Metrolina, Miami's Costa Farms, Michigan's Raker Gardens trials, Young's Nursery and Greenhouses and others. We encourage our customers to stake their favorites during our September Open House farm tours (see photo below). Classic also works with master gardeners, garden bloggers and others - all networking with Classic to evaluate our bulbs. These end users provide valuable input that goes a long way in marketing our products. 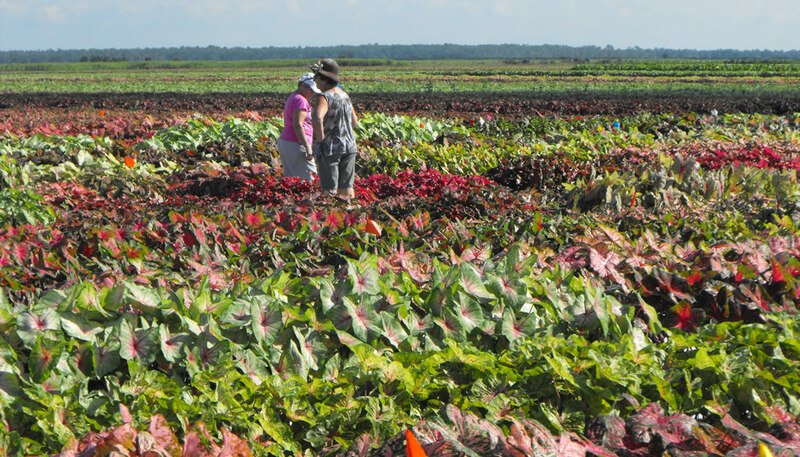 In addition, look for Classic at trade and garden shows throughout the Eastern US.